*Different physics model and handling characteristics. *Different menu system and in-game HUD interface. *Different features, such as the PS2 'Zone Camera' system. *Different features, such as the PS2 'Zone Camera' and 'NFS Points' systems. 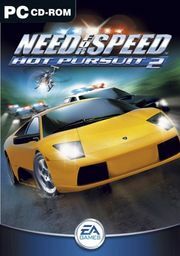 Different features, such as the PS2 'Zone Camera' and 'NFS Points' systems.